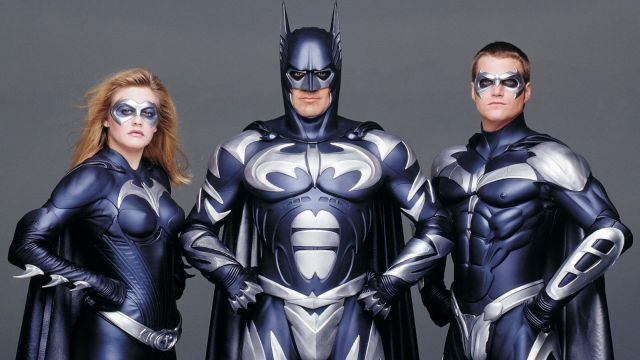 After Batman Forever went on to gross over $330 million at the global box office, director Joel Schumacher was brought back for another go at the caped crusader. Though we all know the reputation that Batman & Robin has now, at the time the film was being given strong internal praise at Warner Bros. So much praise, in fact, that just by seeing the dailies from the film, WB ordered a script for a fifth movie. Mark Protosevich, who would go on to script I Am Legend and have story credit on Marvel’s Thor, was set to pen the script and at the time four villains were said to be in contention for the feature including Egghead, Mad Hatter, King Tut and Scarecrow. Schumacher committed to returning as the director, citing a loyalty to stars George Clooney, Chris O’Donnell and Alicia Silverstone, who were also set to reprise their roles. At the time this was just 5 months before the release of Batman & Robin, but a mid-1999 release date was penciled in for the movie. It was later reported that the film would have used Scarecrow as its primary villain and introduced Harley Quinn as The Joker’s daughter, eager to get revenge on Batman for killing her father. In addition, though unconfirmed, the film could have brought back villains from the entire series, including The Penguin, Catwoman, The Riddler, Two-Face, and The Joker, for a hallucination scene induced by the Scarecrow’s fear toxin. Many rumors have floated around about who would have been cast in either of these roles, but Schumacher confirmed a few years ago that he had been in talks with Nicholas Cage to take on the role of Jonathan Crane. Rumors popped up last year that Schumacher would finally get to tell this story in the form of a comic book, but the director later denied the report.